Ecclesiastes 3:1-8 [ESV] 1For everything there is a season, and a time for every matter under heaven: 2a time to be born, and a time to die;a time to plant, and a time to pluck up what is planted; 3a time to kill, and a time to heal;a time to break down, and a time to build up; 4a time to weep, and a time to laugh;a time to mourn, and a time to dance; 5a time to cast away stones, and a time to gather stones together;a time to embrace, and a time to refrain from embracing; 6a time to seek, and a time tolose;a time to keep, and a time to cast away; 7a time to tear, and a time to sew;a time to keep silence, and a time to speak; 8a time to love, and a time to hate;a time for war, and a time for peace. Planting City on a Hill Church has reintroduced me to a very important and vital truth in life and ministry. Everything is seasonal! Everything has a season. Some seasons are longer than others. 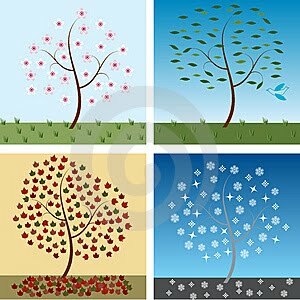 Nevertheless seasons come and seasons go without a doubt. Recognizing the season that we are in allows us know how to prepare and be the most effective. Winter, Summer, Spring, and Fall all require special preparation. Just as seasons in life and ministry require special preparations. If we don’t recognize the season or pay attention to the signs seasons are changing we may miss divine opportunities and divine alignments. In the short history of City on a Hill Church we have been very conscience of the season we are in. Being conscience of seasons of life and ministry have allowed us to prevent burn out in our Ministry Team members and in the life of our church. Recognizing seasons of ministry has prevented us from losing relationships for the sake of the ministry causing wanderers who feel used by the church. There is a caution in all of this to keep in mind, not everyone recognizes the season they are in both in life and ministry which means as leaders we must make hard calls. One of the toughest things to do as a leader is to call a meeting with a faithful volunteer or staff member and help them see the end of their season has come. We must pray for seasonal recognition in ourselves and those we lead praying and trusting the Holy Spirit to speak to them. I have had this pleasure multiple times in my short tenure as a lead pastor and church planter. I have had a key leader’s season come to an end and he came to me sharing with me his heart. I blessed him, thanked him and encouraged him. I am happy to report our relationship is stronger now than before. Glory to God. I have had the Holy Spirit speak directly to another key leader and to me separately on another occasion. Both of us were cautious and fearful that our relationship would be damaged. Thanks be to God through the Holy Spirit our eyes are open to seasons in life and ministry. When we met we both shared our hearts and realized the Holy Spirit was working behind the scenes the whole time. We both had played out worst case scenarios in our minds that never came to pass because of the leading of the Holy Spirit, the obedience of the individuals and the recognition that life and ministry happens in seasons. If a leader doesn’t recognize seasons in ministry we can become discouraged when someone’s ministry season is complete and the time to change has arrived. Our hope must be in Jesus. Our help must come from Jesus. Life can’t be all summer and no winter, no winter means no spring. Some things have to die in order for new life to spring forth. It is only natural that life and ministry happen in seasons. Everything has a season. Each season brings a beauty and brilliance all it’s own. Each season provides us with opportunities to see the beauty and brilliance of our God. Recognizing what season we are in will help us understand God’s grace in a greater fashion. I am so excited about the next season at City on a Hill Church! God has blessed us so richly with people who understand seasons in life and ministry. Recognizing seasons in life and ministry has preserved the unity and the effectiveness of City on a Hill Church. Recognizing seasons in life and ministry has preserved relationships personally and professionally. To everything turn, turn, turn. Turn the page! Recognizing seasons will help us turn the page. Be encouraged!